This historic hotel features 7 lovely guest rooms with private baths, daily delicious breakfast, and wifi. Easy stroll to nearby shops and restaurants. This unique 9 hole golf course is located inside the Lee Metcalf Wildlife Refuge. Enjoy the scenery and wildlife surrounding you during play. Located 30 miles south of Missoula. See a performance at the Stevensville Playhouse. Browse the shops on Main Street. View wildlife or enjoy a game of golf in the Lee Metcalf. Stay at a b-and-b, inn, hotel, campground or RV park. Dine at a local café, deli, restaurant, pizzeria and more. Stevensville offers a combination of great outdoor recreation, a Main Street filled with unique shops and eateries, accommodations, and several attractions all wrapped up into one friendly, small town package. Originally founded by Jesuit missionaries, Stevensville is known as the first white settlement in Montana, established by Father DeSmet at St. Mary’s Mission. Other popular attractions include the local playhouse, museum, and surrounding recreation areas including the Lee Metcalf Wilderness. Stevensville, MT is located off US-93, just 30 miles south of Missoula. Main Street is full of great pubs, shops, and eateries serving up mouth-watering treats at the cafes, delis, restaurants, and pizza parlors. Sip a beer at the brewery, saloon, or country club and for a special treat be sure to sample delectable sweets in the chocolate shop. 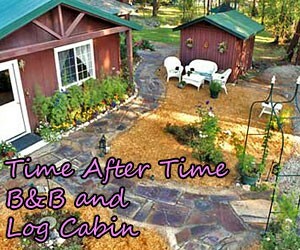 Area accommodations include cozy bed and breakfasts, inns, hotels, cabins, and campgrounds. Avid shoppers will find interesting boutiques including antique stores, book shops, gifts, groceries, clothing, jewelers and other specialty shops. 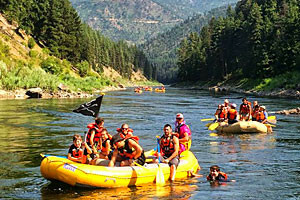 Summertime activities include hiking, biking, horseback riding, and camping in the Sapphire and Bitterroot Mountain Ranges as well as picnicking at the one-acre Fort Owen State Park. Hiking trails around Stevensville include the 4.5 mile St. Mary’s Peak Trail and 14.5 mile Kootenai Creek Trail. If you prefer swinging a golf club, try the 9-hole course within the Lee Metcalf Wilderness or head to the Bitterroot River for some fishing or floating. Town activities include theatrical performances at the Stevensville Playhouse as well as annual festivities such as Main Street’s “First Friday” events. Wintertime activities are mainly based in the nearby mountain ranges, state parks and wilderness areas and include snowmobiling, snowshoeing and cross-country skiing. For further history, visit Stevensville Historical Museum and view displays showcasing Native American artifacts and other materials found within the Bitterroot Valley. Wildlife lovers should definitely visit the Lee Metcalf Wilderness area for bird-watching and other big and small game viewing opportunity, not to mention the thousands of acres waiting to be explored in the Sapphire and Bitterroot Ranges. From Missoula, drive 10 miles on US-12 W and another 17 miles on US-93 S.
Along the way, pause for a picnic at Travelers Rest State Park in Lolo, or stop in Florence and treat your kids to a pony ride at Parson’s Pony Farm.